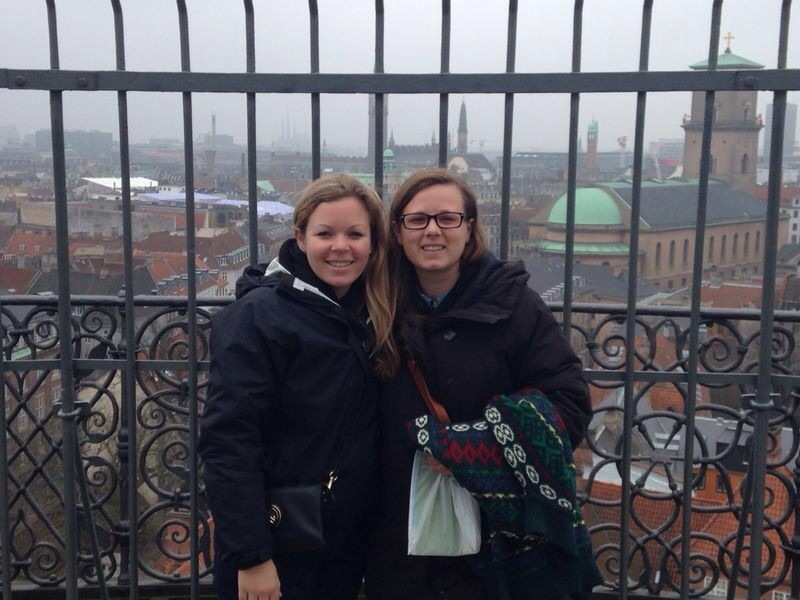 In fall 2013, Michelle Zucker enrolled in the Urban Design program and experienced Copenhagen for the very first time. Before studying abroad, she might not have known it – but Denmark would actually become her home. Read about what sparked her to stay in Copenhagen in this interview with her. 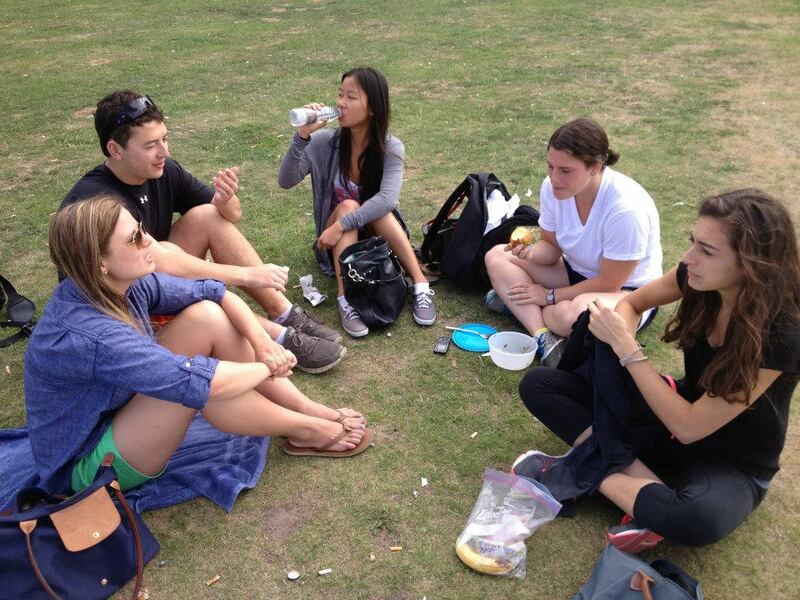 DIS: While studying at DIS you were in the Urban Design program – tell us about your experience. At my home university Penn State, I studied Landscape Architecture. DIS gave me an exciting opportunity to participate in an urban design studio which introduced me to the profession. The studios were based on real-world projects going on in Copenhagen allowing us to explore the city from a critical point of view. In addition, the studio spaces combine disciplines so students are able to collaborate among architects, urban designers, graphic designers, etc. on a daily basis. I think the multi-disciplinary approach that DIS provides is one of the greatest strengths of the program as it reflects how it is to work in a professional firm. DIS: After your semester, you decided to stay in Copenhagen. What influenced you to stay and continue working with urban design? 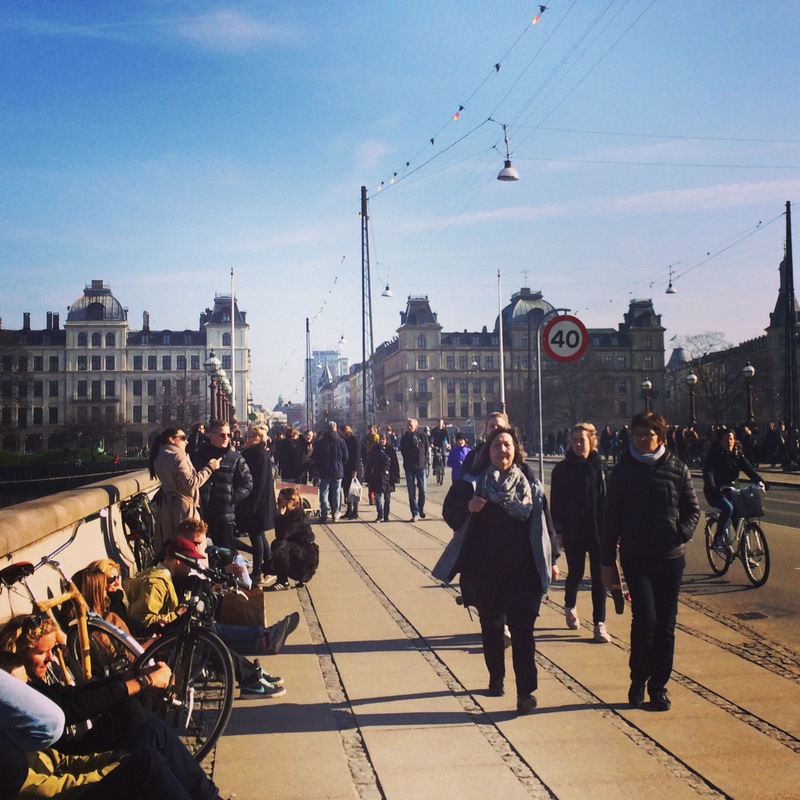 My semester abroad in Copenhagen opened my eyes to all the possibilities of urban design. I fell in love with not only the city but how people incorporate it in their daily routines. In the states, I find that many public spaces are mono-functional whereas in Copenhagen, each space caters to a diverse range of user groups allowing them to personalize their experience. DIS: What is it like to work as an Urban Designer at arki_lab, an international workplace? arki_lab has been invaluable in my development not only as a designer but as a recent graduate. Following my semester abroad I had the desire to work abroad but was unsure if I could do so without knowing the language. Our approach at arki_lab aims to place people first in design which I think is reflected in the workplace as well. My colleagues all have different backgrounds and speak different languages yet we celebrate this in our way of thinking and by designing internationally. DIS: Congratulations on your recent achievement of winning AECOM’s global urban design competition! Tell us about your project and the experience of presenting as a finalist at the Center for Architecture in New York. Thank you! I collaborated with fellow DIS alumni Emily Saunders and we developed a project in Tirupur, India. The competition asked for participants to propose a new industry that could reinvigorate an abandoned or past industry. We chose the city of Tirupur, known for being one of the largest knitwear exports in the world. However, as a result many of the residents basic urban rights have been sacrificed so our response provided a framework or ‘toolkit’ to address the need for clean water, small-scale agriculture and self-grown, resilient shelters. In September we were flown to New York to present at the Center for Architecture along with 3 other finalists where they announced we had won. Emily and I are currently working with contacts in India to get the project implemented over the course of the next year. DIS: What is your favorite spot in Copenhagen/the surrounding area? It is hard to say which spot, but Nørrebro is definitely my favorite neighborhood in Copenhagen and where most of my time is spent. 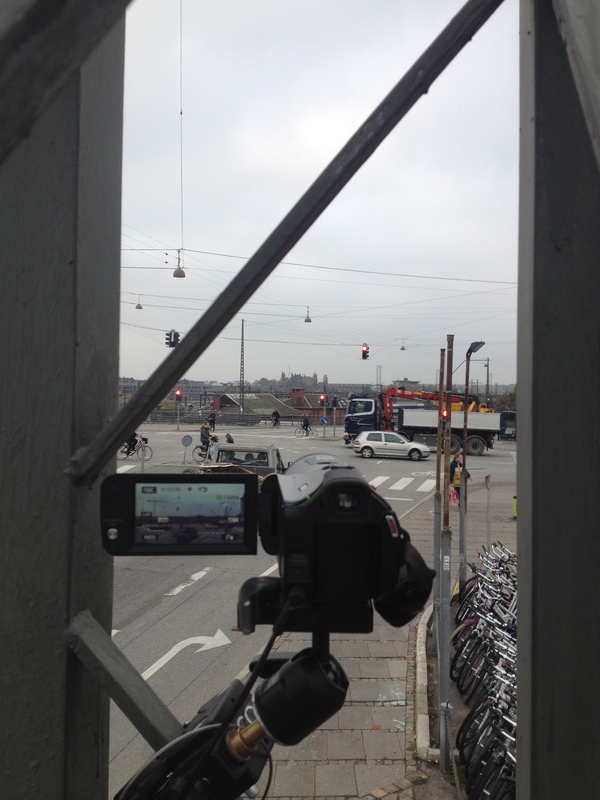 I think there is a certain energy in Nørrebro that can’t be found anywhere else in the city. DIS: Are there any Danish foods you have taken a liking to? I really enjoy how fresh Danish cuisine is. The ritual of going to the market every other day has allowed me to try new dishes and different traditional Danish foods. But I must admit, after living here for 1.5 years I am still unable to take a liking to licorice. DIS: What advice can you give to current students at DIS, who are now about halfway in their semester? My best advice to current students would be to take each day as it comes. When you study abroad, life can be a bit overwhelming with trying to balance traveling, school and living in a new city. As a result you tend to overlook the day to day interactions and before you know it the semester is over. Looking back, my favorite moments studying abroad were the days spend with friends in cafes or near the lakes, just hanging out and immersing ourselves in the vibrant city life. DIS: What is next in store for you? I am planning to stay working in Copenhagen for at least a few years, more if I am lucky. As far as our project in Tirupur goes, Emily and I are developing it at the moment and hope to visit India very soon.